At bardstownrdanimalclinic.com ("Bardstown Rd Animal Clinic"), we are committed to protecting the privacy of the users of BardstownRdAnimalClinic.com and the security of the information they provide to us. Bardstown Rd Animal Clinic will not disclose personally identifiable information of any user to any third party. Bardstown Rd Animal Clinic may analyze and/or aggregate a user's data with data from other users, and Bardstown Rd Animal Clinic may disclose de-identified data (i.e. stripped of information that identifies users, their clients or their pets) to third parties in connection with such analysis and/or aggregation. In addition, Bardstown Rd Animal Clinic may periodically communicate with customers of BardstownRdAnimalClinic.com through email, direct mail or faxing and each customer's agreement to this is signified by checking on "I have read and agree" during the registration process. The web sites accessed through www.bardstownrdanimalclinic.com may contain various links to third party websites. Although these links may provide greater services and resources to visitors and may even contain Bardstown Rd Animal Clinic trademarks and branding, we exert no authority over these linked sites. When a user accesses one of these linked sites, such user exits our website properties and enters a third party's site. Bardstown Rd Animal Clinic has no control over the privacy standards of such third party sites and assumes no responsibility or liability for the privacy and data collection policies or actions of any linked sites. Bardstown Rd Animal Clinic recommends that users review the policies of a third-party site before providing personal information to such third party site. Bardstown Rd Animal Clinic does not desire or intend to collect any personal information of children in our www.bardstownrdanimalclinic.com website system. 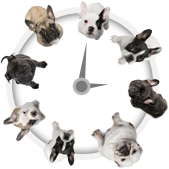 The www.bardstownrdanimalclinic.com website system is intended solely for use by Veterinary professionals. We ask that children not submit any personal information to us. Bardstown Rd Animal Clinic will correct any errors in a user's personal information upon such user's request. We would like to thank each user for registering with the www.bardstownrdanimalclinic.com website system and for such user's patronage of our on-line website properties and offline educational products. We hope that our offerings provide users with valuable educational information.